So now you've got data. What do you do with it? A PLC is a professional learning community. This is a group of faculty who meet for a specific purpose - not to complain (although a little of that does sometimes happen) or to eat snacks (although snack-eating can facilitate an effective PLC!) but to actually figure stuff out. To communicate ideas and thinking, and arrive at some sort of decision. This could be a plan of attack, lesson plans, a strategy to implement, or some learning to do. A Data PLC happens when you have some data and you need to look at it as a group and make some observations and decisions about it! In order to have an effective Data PLC, I recommend starting with my post about collecting data with purpose. Then, look at the next four tips to structure your PLC. 1. Data is only relevant for a short time. I've known some teachers who give a test on February 12 and don't review it until March, because they were busy or they forgot. Honestly, by the time March rolls around, you may as well just give up on that test. It's forgotten. Kids don't remember what they were thinking, why they chose what they chose, or sometimes, even taking the test. Data must be current. 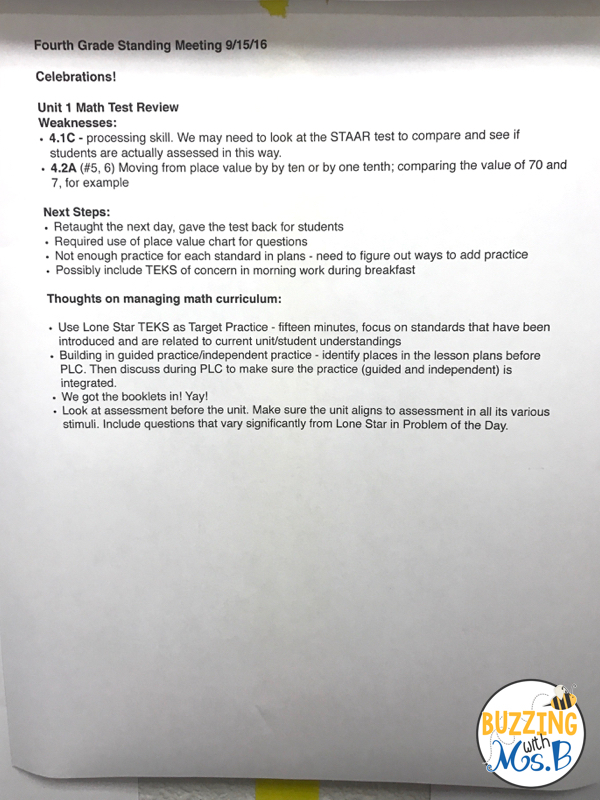 If you're looking at assessment data with a group of teachers, it really needs to be done within the week - ideally within about three days or so. 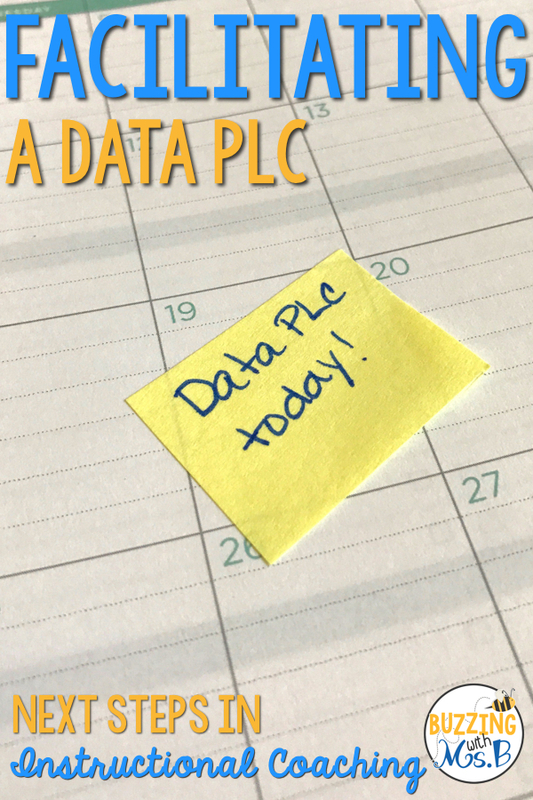 This doesn't always happen in the real world, but it's a good goal: schedule your data plc within a few days of your assessment. 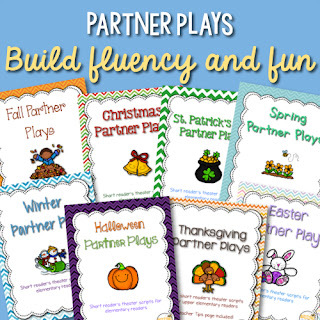 This is much easier if you have common assessments with a date the grade level plans on giving the test. You can schedule your data meeting to follow the test date, so everyone knows what to expect. Make sure you have enough time to actually prepare the data, though. You don't want to arrive at a meeting empty-handed! If you've decided that teachers will bring their own data, make sure that they have enough time to prepare it and know what they're being asked to bring, and in what format. 2. Have your questions prepared ahead of time. 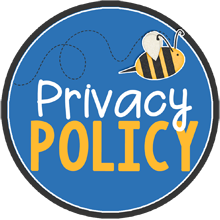 door to complaints, excuses, and personal celebrations - all of which are sure to bother one person or another, and will not be very productive. Instead, have a set of questions to guide the conversation. One approach I've used is to provide each teacher with a form to fill out about his/her own data. They take a few minutes to do this, and then I use some guiding questions for us to discuss. Sometimes, having written about their own thinking first empowers people to share their thinking aloud. In what ways did you teach this concept? Do we notice any patterns? 3. Drill down to the "why". The conversation will invariably start with noticing where students did well and where students didn't. If that's where the conversation stops, you still haven't reached an understand of what happened on this assessment. Move into the "why" questions. Did they use what they've been taught or did they guess? Honestly, if we're analyzing data, let's make sure that it actually represents what students can do. If a student just circled answers, why are we going to invest in figuring out why? They don't know why, either! Data has to be meaningful to be useful. 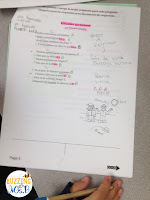 I recommend having teachers bring a few samples of student work so you can actually look at it together and see what students actually did when the going got rough. Here are other good questions to discuss. You can either choose a few to focus on, or you can see where the data takes you! Did students know how to approach this question? Did they have a strategy or a thought process to help them when they got stuck? Why do you think students struggled more with "x" than with "y"? Was there an issue with the way the questions were worded? 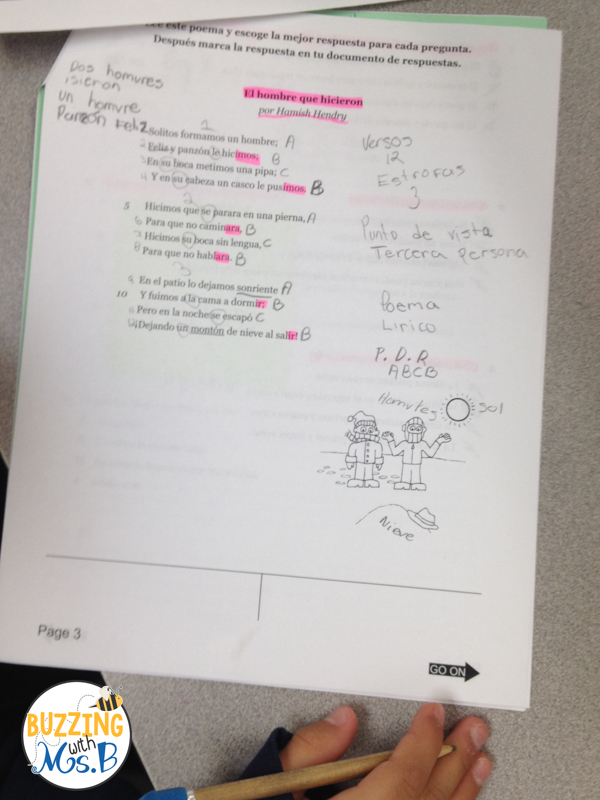 What thought processes were required of students to respond to that question? Is there a vocabulary issue? Were there terms that made it difficult for students to access their learning? Were the answer choices/response modes confusing? Why? Which wrong answer did students choose the most? Why? Discuss these as a team, and draw some conclusions about the teaching and learning that went on there. 4. Get to next steps. So now what? We know kids didn't know what to do when the question said "infer' but they did know what to do when the question said "reader can tell." They didn't know what strategies to use to figure out context clues questions, and they have misconceptions about summarizing. the data conversations in the world are useless if you don't figure out what to do next. What needs to be retaught, what needs to be practiced, and what needs to be introduced? 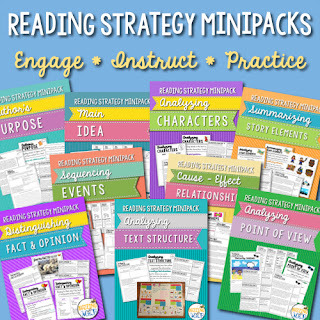 Which strategies might you teach, if students didn't have one that was successful for them? When will this be done - whole group? Small group? Which students? 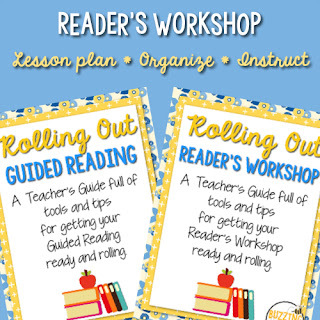 Tip: If over 70% of the class didn't get it, it's the whole-group lesson teaching. Teachers may need to do some new learning to figure out how to teach this skill/strategy in a different way. If it's small groups of kids, try a reteach in small group with those students. You could reteach the same way, if they just need more practice, or in a different way if you found something more simple. 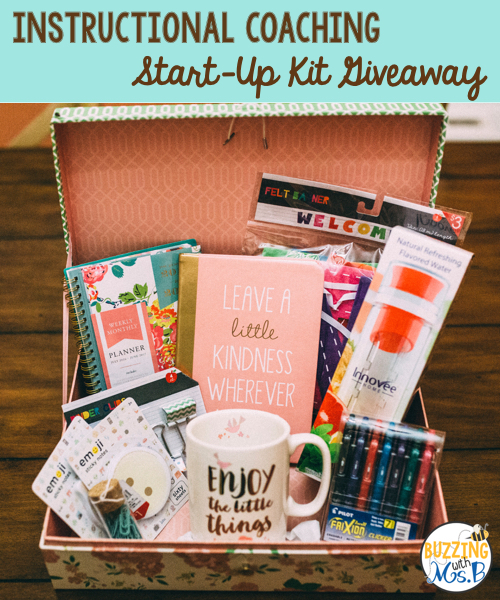 And on top of it, I'm going to host another BIG giveaway! One lucky duck will win my Instructional Coaching Must-Haves Kit, an over $120 value! 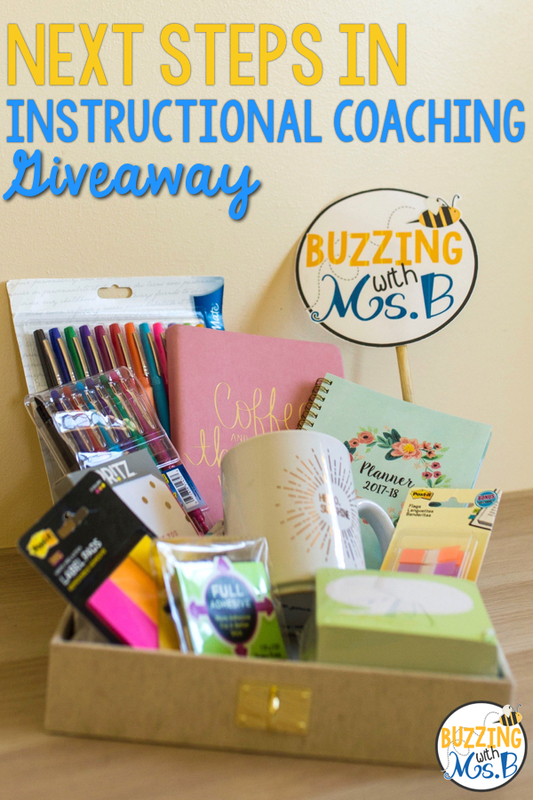 In addition to this, with every new post, you'll have the chance to enter a Rafflecopter Giveaway to be one of five people to win a digital giveaway: my new ebook, The Start-Up Guide to Instructional Coaching, and my Instructional Coaching MegaPack Binder! Over $40.00 worth of products! To enter this contest, follow the rafflecopter directions below. 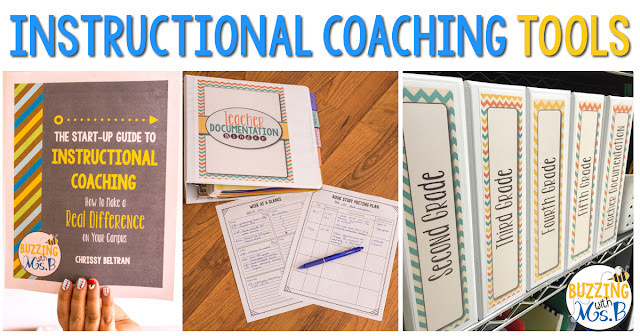 You can add new entries with each blog post that comes out in the Next Steps in Instructional Coaching Series! All entries will be tabulated by Tuesday, August 15, and the big winner and 5 digital giveaway winners will be announced! 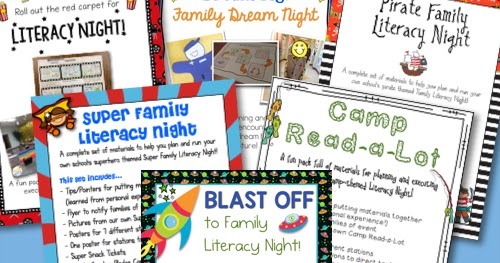 Sign up for an instructional coaching freebie in your inbox! I truly enjoy your posts! I am entering my 3rd year as a coach in Texas. Your ideas and posts have helped me learn and grow so that I can better serve the teachers on my campus! Thank you! Thank you for sharing your coaching information. As a new coach I'm learning a lot of information by reading yours. Please continue to share. Thank you! I good reminder of simple steps that even the most seasoned sometimes forgets. I like the "Questions to ask yourself". Very helpful! Thanks for the post! 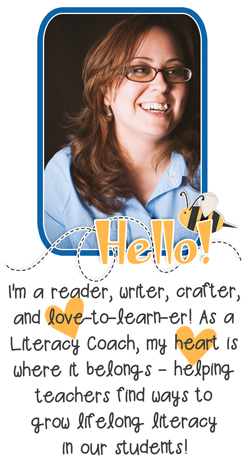 I'm new to instructional coaching, with a veteran staff, they've been nothing but warm and welcoming. I'm still figuring out my role the first few day says we are back and when kids return, how to get into every classroom (I have 41 classroom teachers, large school!)??! Is there a link to download the forms for number 2 (Reflecting on Data an Data Review)? 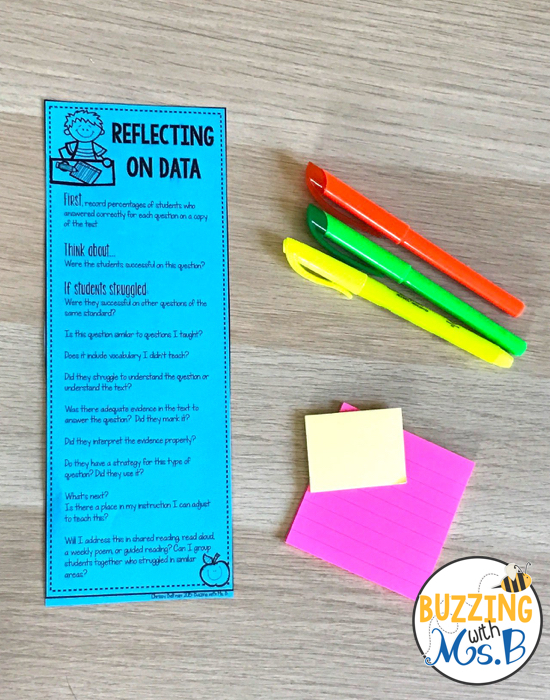 Yes where can I find the reflecting on data and data review sheet? 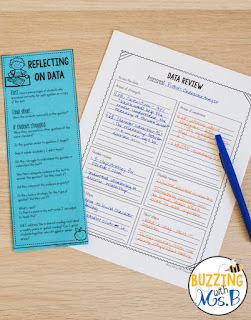 I love the idea of having teachers intentionally reflect on their student data before the meeting and have prepared questions to guide the meeting. As a first year coach these organizational tips will be life savers!